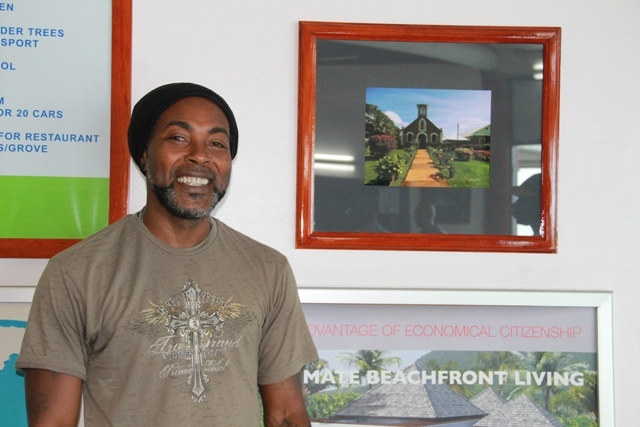 NIA CHARLESTOWN NEVIS (June 01, 2016) – The Ministry of Tourism, on Monday May 31, 2016, mounted an exhibition in recognition of its 2016 Photographer of the Year contest Sylvester Meade, at the Vance W. Amory International Airport. Meade was announced winner on March 18 2016. The competition commenced in late December 2015, and ran for six weeks for non- professional photographers 25 years and over. Each participant was required to submit a photograph in five categories: Eco/Nature, Culinary, Historical Building, People and Creative Vision. Deputy Premier and Minister of Tourism Hon. Mark Brantley who was present at a small but significant ceremony to launch the exhibition, congratulated Meade and commended him for the quality of his photographs. “I want to wish you all the very best and to say to you that you are doing some incredible work in terms of photography…I want to encourage you to continue and hope…that you would continue to be part of this initiative. 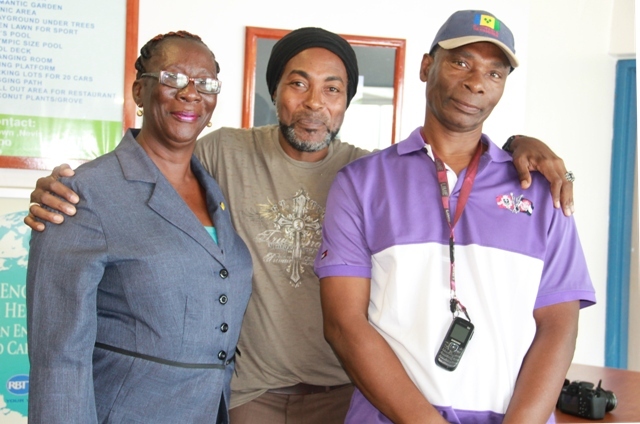 “I think all of us would agree…the photographs that he has taken of random people, random places all around Nevis, in town, in the country side, restaurants…have really given us a very good depiction of what Nevis day, Nevis night, Nevis life is like and I am very happy that he has been rewarded in this way in terms of the recognition,” he said. The Tourism Minister expressed hope that through this initiative, local photographers can be recognised for their creative work and that visitors to the island would have the opportunity to view them. Mr. Brantley also stated that the initiative will expand the competition to include interested youth on the island. Meantime, in response, Meade, said he is humbled by the recognition and views photography as an inspiration. He encouraged the youth to embrace photography. “Photography is inspiration for me. It inspires me. Every time I look out at nature and everything surrounding me really inspires me because Nevis is a gem. It’s a diamond that we just need to polish every now and again. Through my photography, I hope to do a lot of that,” he said. Meade noted that going forward, he hoped younger people could see other meaningful avenues available to them to divert their attention. He said photography is a good art and encouraged them to take it up and use it to their advantage. 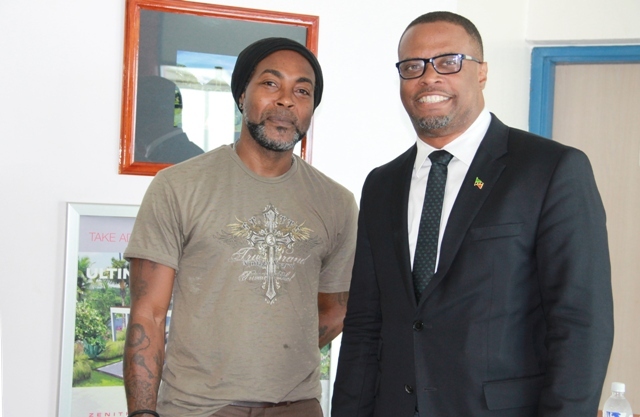 His wining photographs have been exhibited by the Ministry at the Mount Nevis Hotel, Four Seasons Resort, Montpelier Plantation Inn, Oualie Beach Resort and the Hermitage Plantation Inn. They have also been on display at businesses in Charlestown namely the Bank of Nevis Ltd., CIBC First Caribbean International Bank and the Development Bank of St. Kitts and Nevis. Some of the photographs are at present on display at Royal Bank of Trinidad and Tobago until March 2017. Manager of the Airport, Steve Hanley, also congratulated Meade on his achievement and encouraged him to continue to build on his success. Also present was Permanent Secretary in the Ministry of Tourism Carl Williams, Assistant Secretary John Hanley and Marilyn Pemberton and Antonio Brown of the Nevis Craft House who designed and constructed the frame for the photographs.